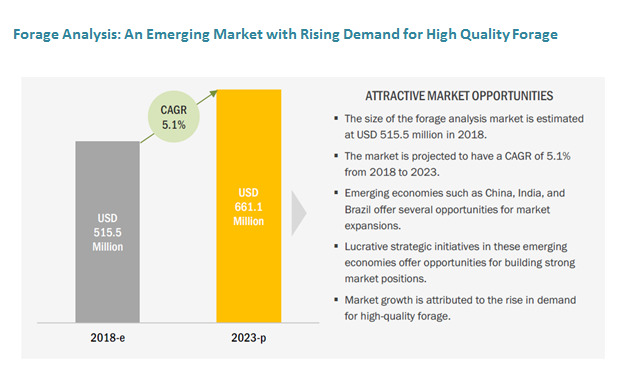 [121 Pages Report] The global forage analysis market was valued at USD 494.4 million in 2017; this is projected to grow at a CAGR of 5.1% from 2018, to reach USD 661.1 million by 2023. The objectives of the report are to define, segment, and estimate the size of the global market. Furthermore, the market has been segmented on the basis of forage type, target, livestock, method, and region. The report also aims to provide detailed information about the crucial factors influencing the growth of the market, strategical analysis of the micro markets, opportunities for stakeholders, details of the competitive landscape, and the profiles of the key players with respect to their market share and competencies. This research study involved the extensive use of secondary sources which included directories and databases such as Hoovers, Forbes, Bloomberg Businessweek, and Factiva to identify and collect information useful for the technical, market-oriented, and commercial study of the forage analysis market. The primary sources that were involved include industry experts from core and related industries and preferred suppliers, dealers, manufacturers, alliances, standards & certification organizations from companies, and organizations related to all segments of this industry’s value chain. 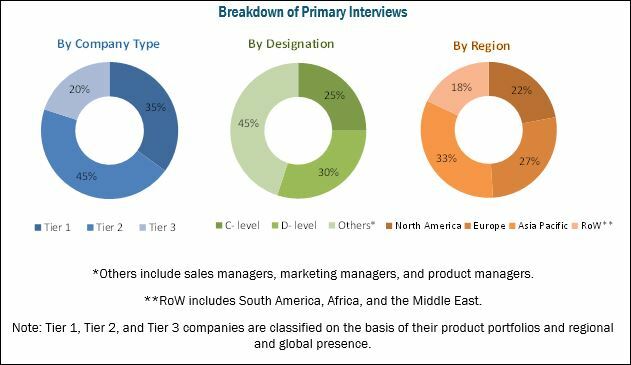 In-depth interviews were conducted with various primary respondents such as key industry participants, subject matter experts, C-level executives of key market players, and industry consultants to obtain and verify critical qualitative and quantitative information as well as to assess future prospects. The following figure depicts the market research methodology applied in drafting this report on the forage analysis market. 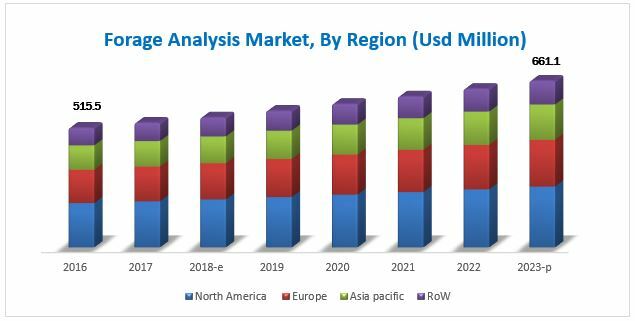 The key manufacturers in the forage analysis market include SGS (Switzerland), Eurofins Scientific (Luxembourg), Cargill (US), Intertek (UK), and CVAS (US). These companies have diversified product portfolios and advanced technologies for forage analysis at major strategic locations. Other companies include RJ Hill Laboratories (New Zealand), Dodson & Horrell (UK), Cawood Scientific (UK), Servi-Tech (US), DairyLand Laboratories (US), Dairy One (US), Minnesota Valley Testing Laboratories (US), and Massey Feeds (UK). Further breakdown of the Rest of Asia Pacific forage analysis market into Indonesia, Malaysia, Thailand, and the Philippines.